Cash flow keeps businesses going. When cash flow slows down, it hinders your ability to run your company, especially when you have opportunities to grow. How many times have you put aside bills, lost sleep over payroll, or couldn’t pay suppliers on time? 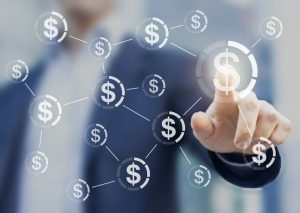 Most growing businesses experience a period of time when outstanding receivables are holding them back. If only you could get paid today on work you completed, your business would soar. Here’s where Riviera Finance comes into play. Riviera Finance serves as your cash flow partner. 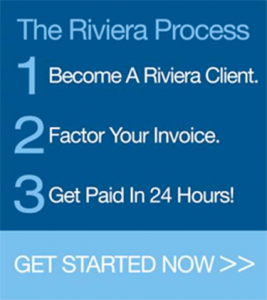 Our process is called “factoring,” and in the simplest terms it means Riviera purchases your selected invoices for immediate cash. Your customer then pays Riviera using your normal payment terms. You get paid immediately while still extending credit to your customers. Learn more about invoice factoring services.